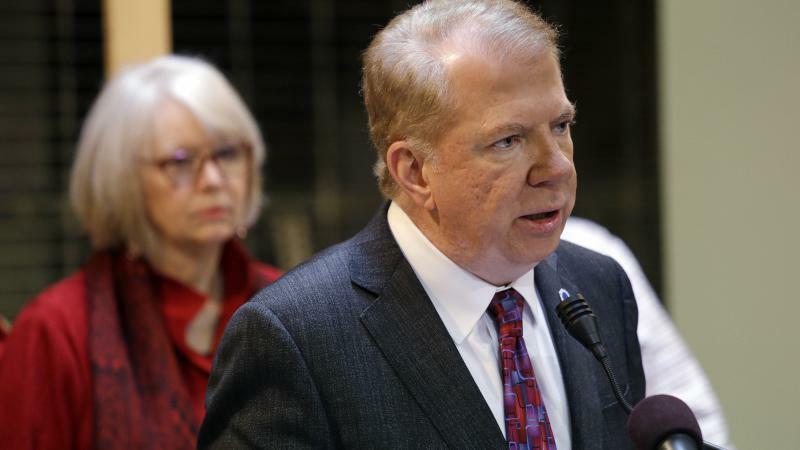 Seattle and King County officials fired back at the Trump administration Friday, saying they won't drop local law enforcement policies designed to protect undocumented immigrants despite pressure from the U.S. Justice Department. U.S. Immigration and Customs Enforcement says it conducted a major operation last week targeting so-called “sanctuary cities," including Seattle. 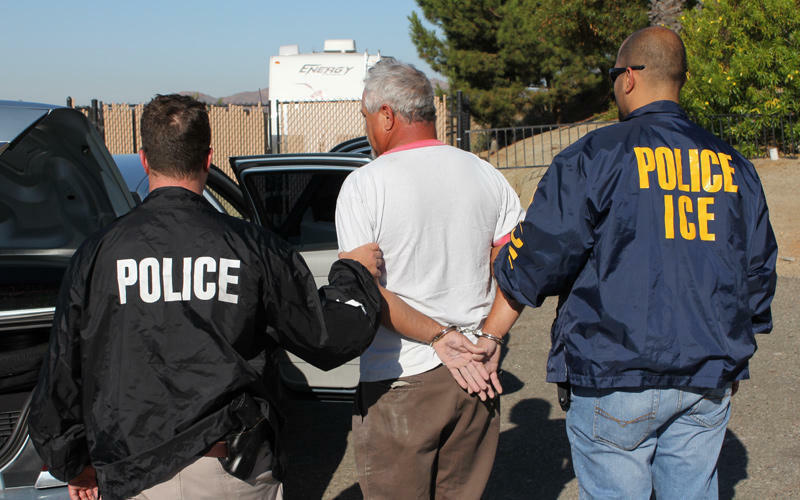 Focusing enforcement on certain cities because of their local laws would represent a new tactic for immigration authorities, according to immigrant advocates and local government leaders. But details of the operation raise questions about whether it really differed from normal enforcement activities in the Northwest. 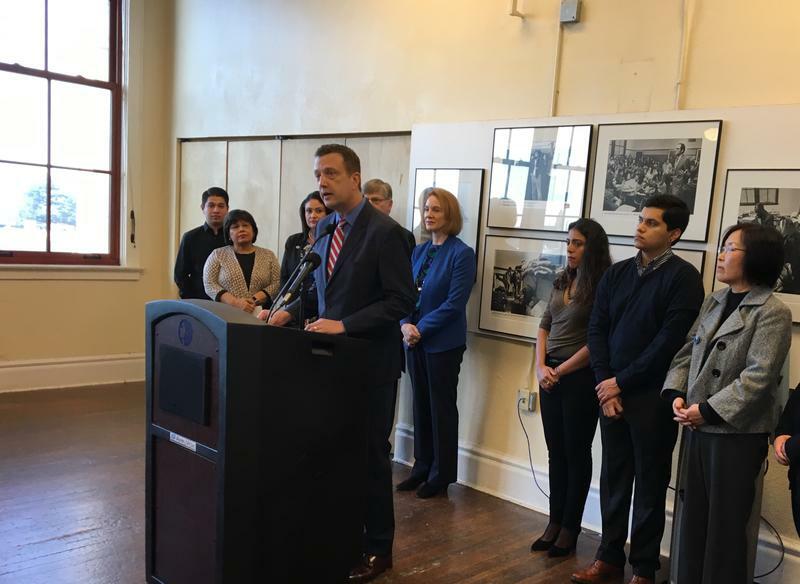 Six nonprofit organizations have been awarded grants from a $1.5 million legal-defense fund the City of Seattle has set up to help immigrants who face deportation or are in danger of losing their legal status. 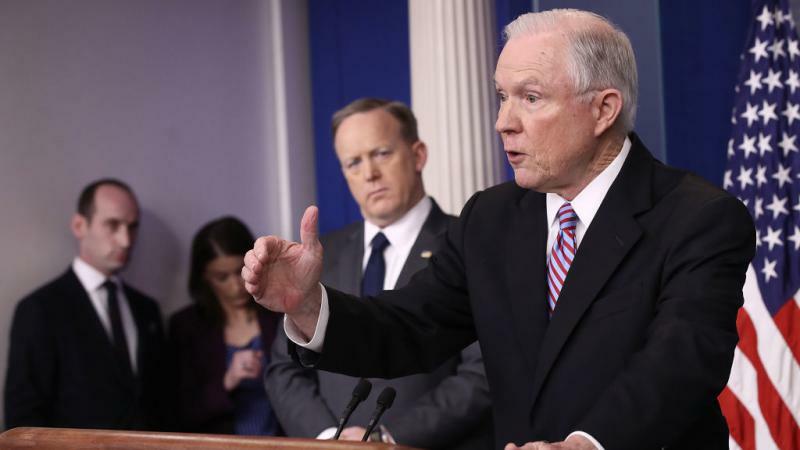 Los Angeles sued the Justice Department on Tuesday over the Trump administration's threat to cut millions in federal funding for so-called sanctuary cities, which limit their cooperation with federal authorities on immigration enforcement. Voters in Burien will decide the fate of a local law designed to protect the city's undocumented population. 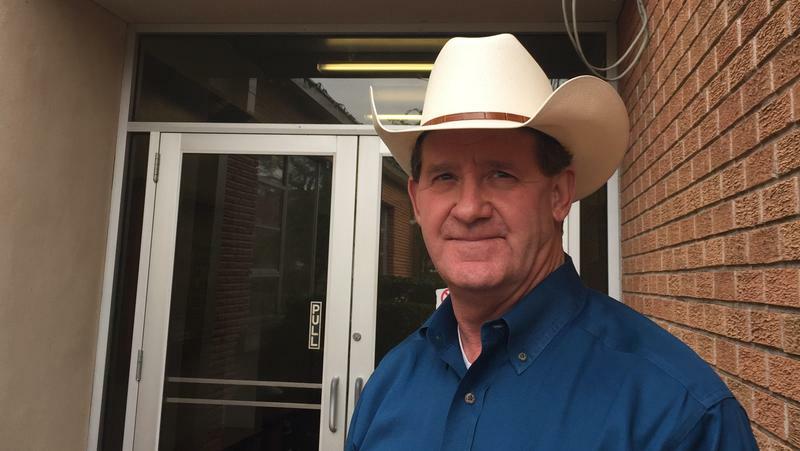 An initiative on the Nov. 7 ballot will ask voters whether they want to repeal the law, which prevents city staff and law enforcement officers from asking about a resident's immigration status or religious beliefs. 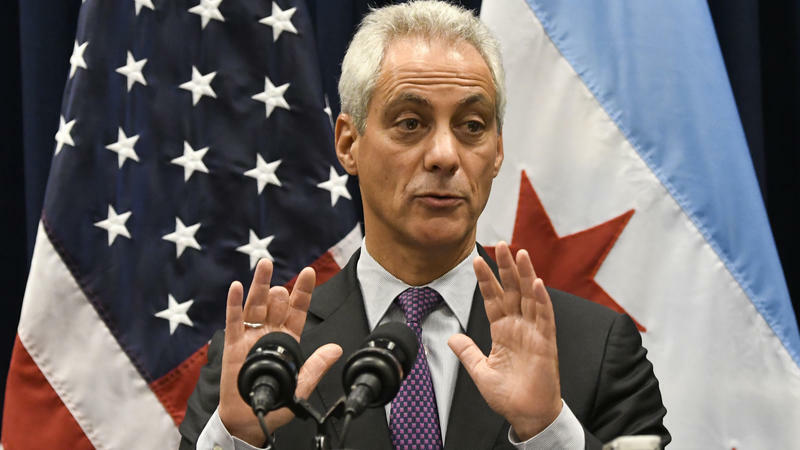 Chicago's Mayor Rahm Emanuel is pushing back against the federal government. 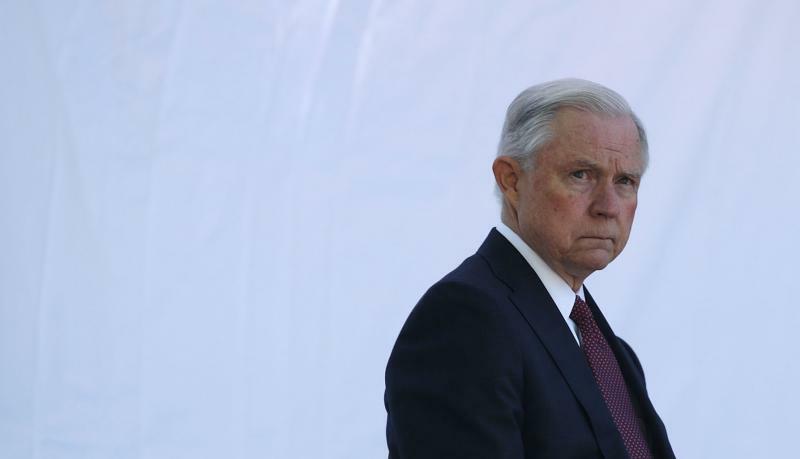 On Monday, the city is filing suit against the Department of Justice, which announced it would withhold millions of dollars in police grant money from so-called sanctuary cities. Emanuel is suing because he says new rules for a federal crime-fighting grant go against the Constitution and the city's values. "Chicago will not let our police officers become political pawns in a debate," Emanuel said. A story about the fate of a Burien law protecting undocumented immigrants before a scheduled City Council vote Monday night. Updated at 11:30 a.m. Tuesday, Aug. 1. Original story follows update. 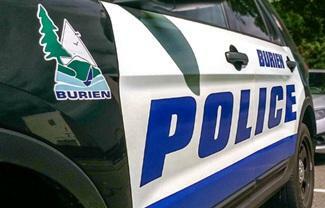 The Burien City Council ended a meeting Monday night without taking a critical vote on the future of a local law aimed at protecting undocumented immigrants. By failing to vote, City Council members missed an Aug. 1 deadline to put a repeal of the immigration law on the November ballot. Republican Gov. 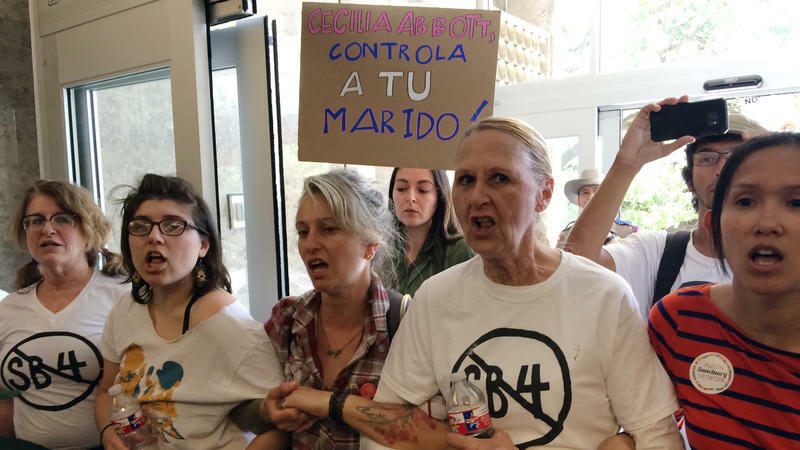 Greg Abbott signed a bill into law that lets police ask during routine stops whether someone is in the country legally and threatens sheriffs and police chiefs with jail if they don't cooperate with federal immigration agents. The timing of the signing caught Democratic lawmakers off guard. Abbott signed the bill Sunday night during a Facebook Live event with no advance public warning. He signed the measure four days after both chambers of the Legislature approved it. The new law goes into effect Sept. 1. Local officials are praising a federal judge’s decision to temporarily block President Donald Trump’s order to withhold funding from “sanctuary cities.” The temporary restraining order was issued in San Francisco, but applies nationwide. 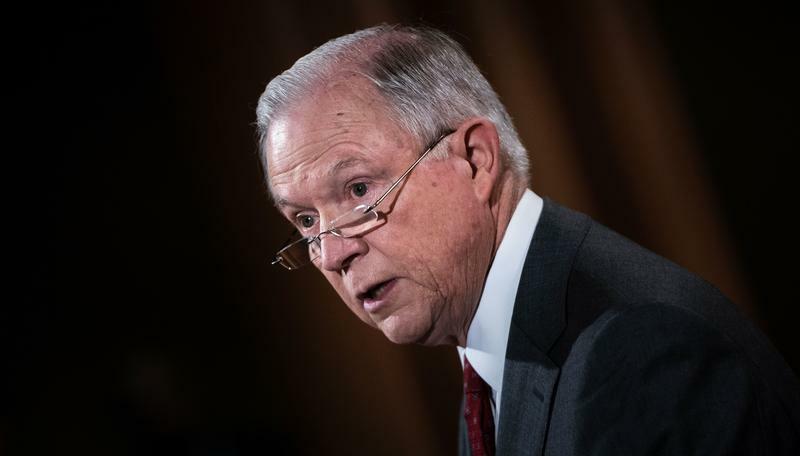 The U.S. Justice Department has escalated its approach to so-called sanctuary cities, writing at least eight jurisdictions Friday to put them on notice they could be failing to cooperate with immigration authorities. Alan Hanson, the acting assistant attorney general for the Justice Department's grant-making arm, warned the cities that they're required to submit proof that they comply with federal immigration law. Saying that Attorney General Jeff Sessions' threat to strip billions in federal grant money from so-called "sanctuary cities" is illegal and unconstitutional, the city of Seattle has sued President Trump and his administration, in a lawsuit that names Trump, Sessions and Secretary of Homeland Security John Kelly. 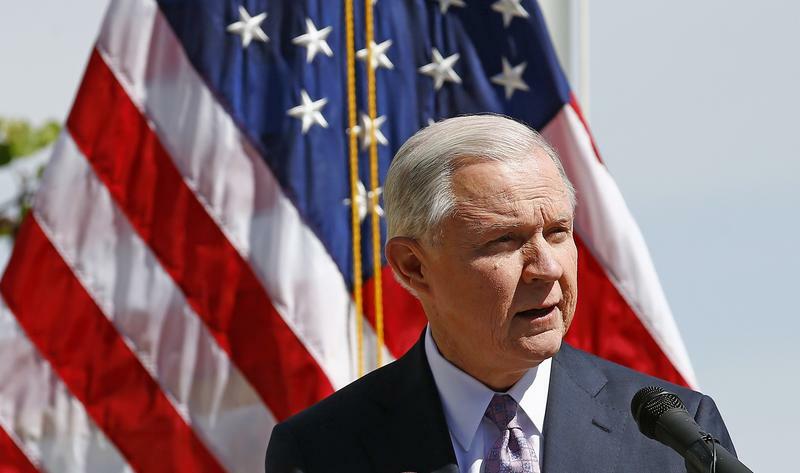 Officials in New York, California and elsewhere say they'll fight Attorney General Jeff Sessions' move to cut off billions in federal grant money to cities that don't share the Trump administration's strict approach to enforcing immigration laws. "The Trump Administration is pushing an unrealistic and mean spirited executive order," New York City Mayor Bill de Blasio tweeted Monday night. "If they want a fight, we'll see them in court." Oregon Gov. 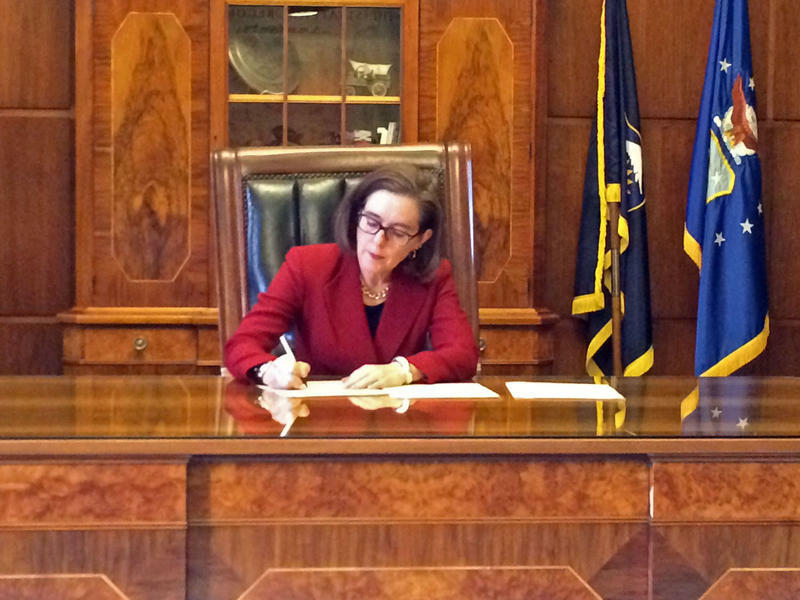 Kate Brown issued an executive order Thursday meant to counteract President Trump's recent directives on immigration. The Democrat also announced a possible lawsuit against Trump’s actions. What Does It Mean To Be A 'Sanctuary City'? President Donald Trump’s promise to crack down on illegal immigration is spurring cities across Washington to weigh calling themselves “sanctuaries” for undocumented people. Leaders in Tacoma, for instance, decided against adopting the “sanctuary city” label this week. They feared the Trump administration would take away millions in federal funding, as the president has promised. The term “sanctuary city” is often a topic of emotional debate. But what does it mean? 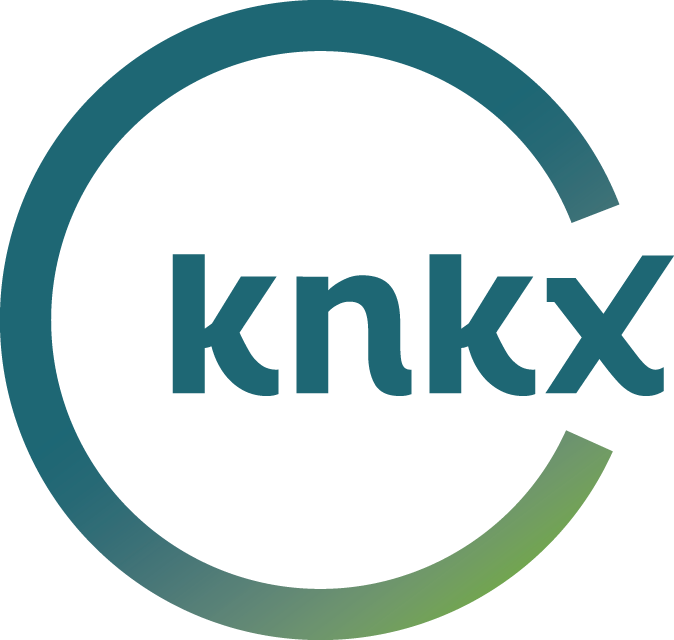 The red-blue divide on immigration is on prominent display in the Northwest Monday. The state attorneys general of Washington state and Oregon are denouncing the Trump administration for its order limiting travel from seven majority-Muslim countries. 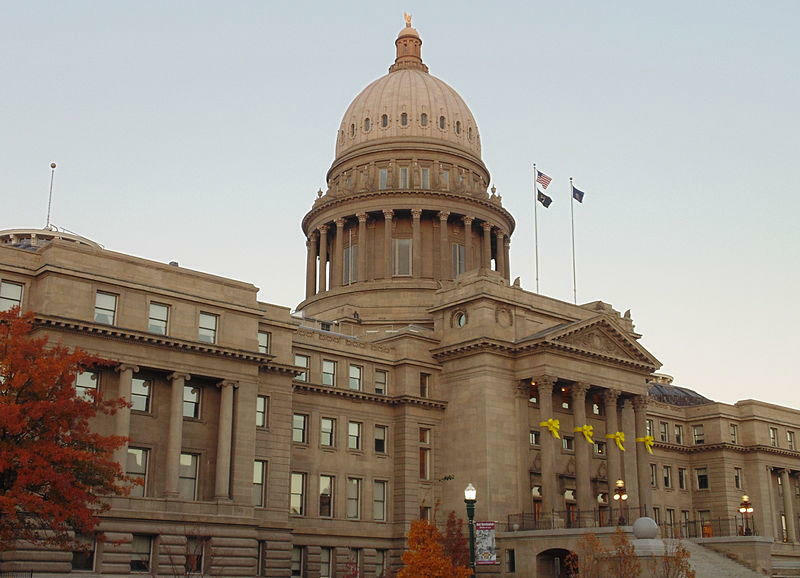 Meanwhile, Idaho legislators took the first step to require local police to assist the federal government on immigration enforcement. 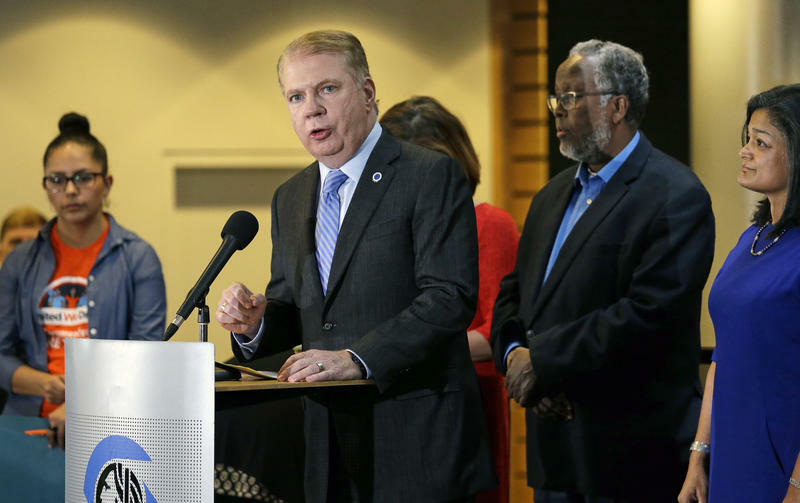 Seattle and many other "sanctuary cities" are pushing back on the latest executive orders signed Wednesday by President Donald Trump. The orders deal in part with Trump's campaign promise to build a wall between Mexico and the United States. It also gives broad power to federal immigration authorities, imploring local law enforcement to participate in a crackdown on undocumented immigrants. 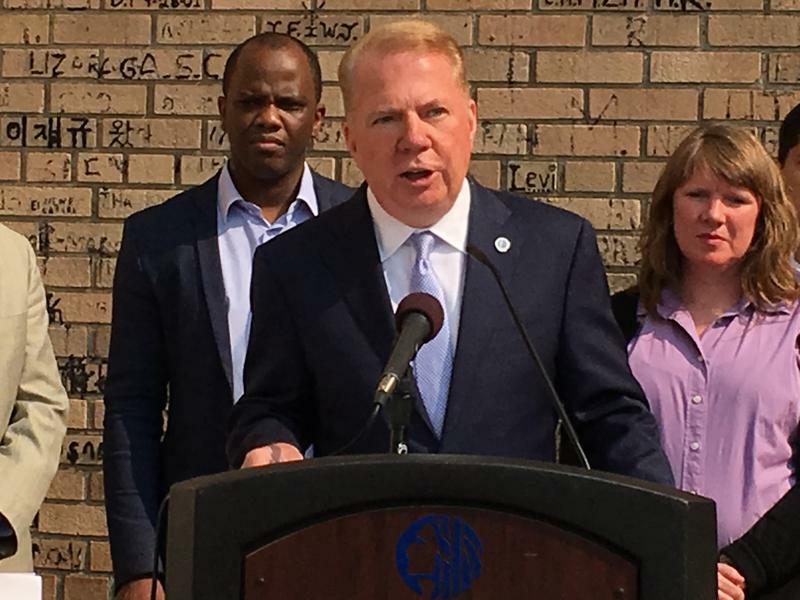 That requirement is problem for a city like Seattle, which does not allow police or other agencies to ask about a person's citizenship status.